February | 2015 | Arthur in the Garden. it began snowing and sleeting last night. I woke up when the power went out about 12:30am. Then we had snow lightning with flashes of blue and orange and booming thunder! Gus came upstairs and we snuggled trying to keep warm as we listened to limbs breaking and hitting the roof then sliding off and hitting the ground! Crazy! 10 foot pine limb on top of the Carolina jasmine arbor. The once 15 foot tall osmanthus are bending to the ground with the weight of the snow and ice. The 10 year old camellias are bending in response to the snow and ice! I hope they recover? 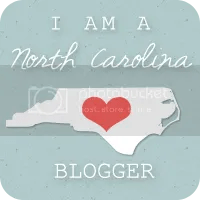 Hope the power comes on soon! It is the third snow this winter. 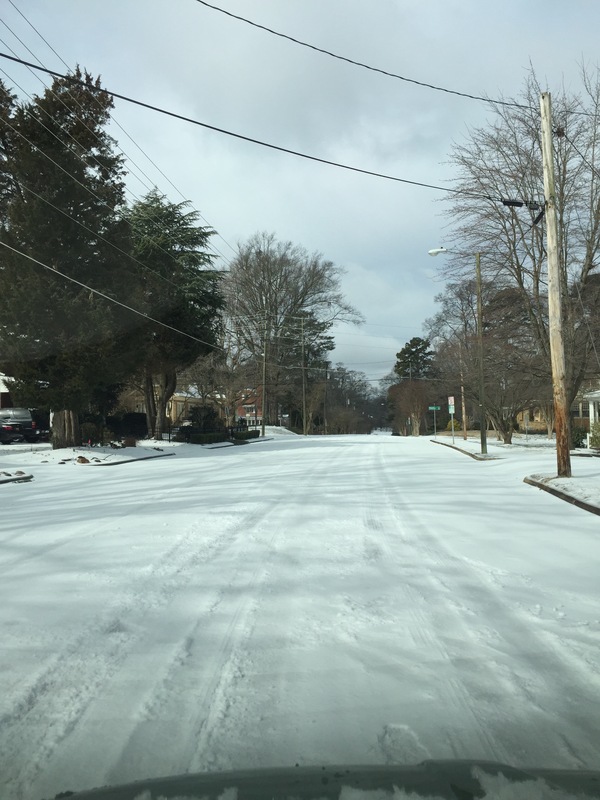 Although, temps have reached a low of 18f, I am hoping the Basjoo bananas have not frozen to the ground. 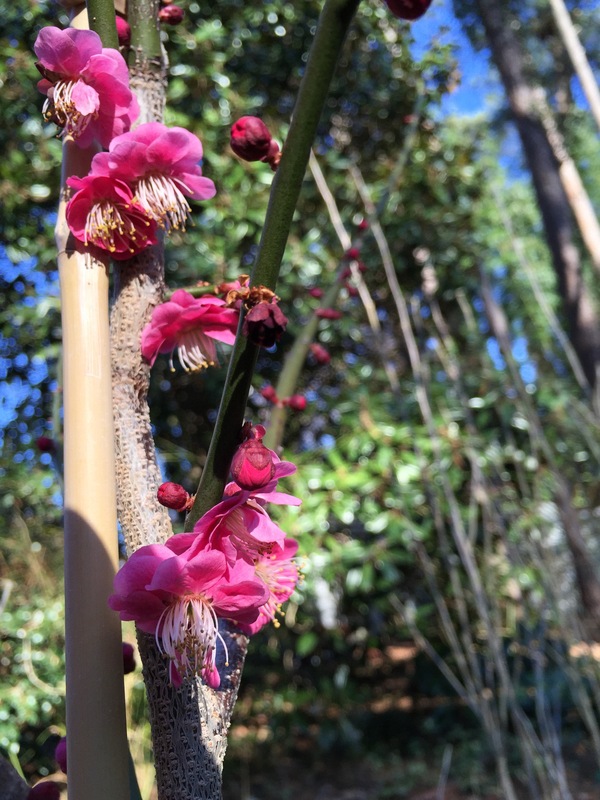 The Prunus mume ‘kobai” were blooming but low temps damaged their blooms. They have a wonderful and spicy fragrance each February. 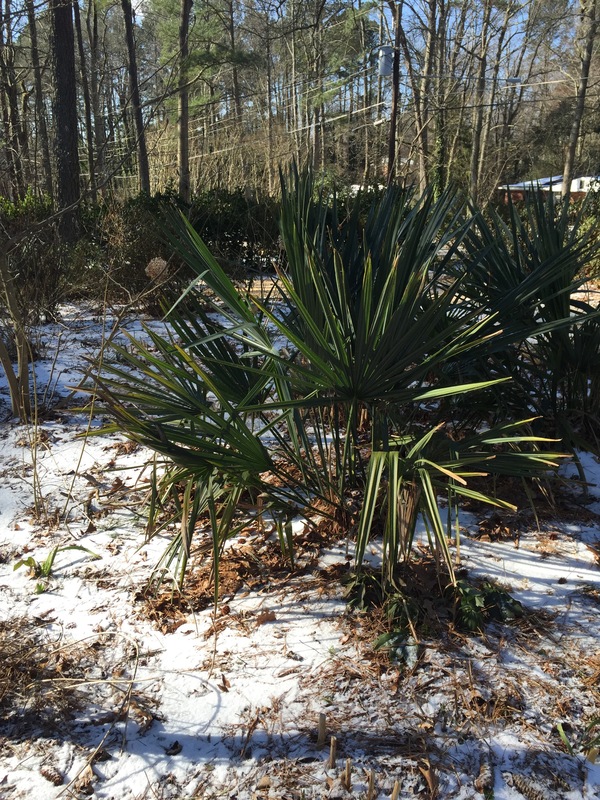 Snow is always an unusual combination with the dwarf palmetto palms. The entire neighborhood is white. 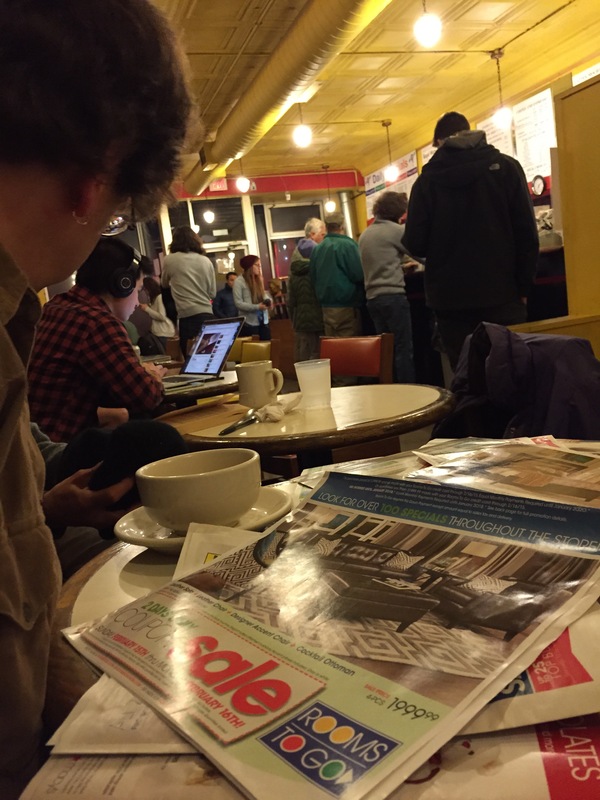 And Cup A Joe is always pack on a snow day! 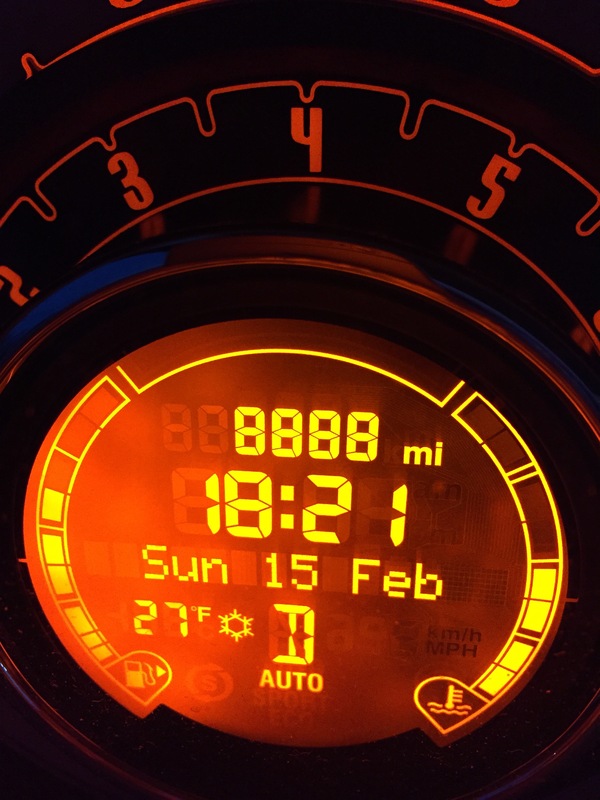 But the other day my Fiat odometer hit a very auspicious number – all eights! 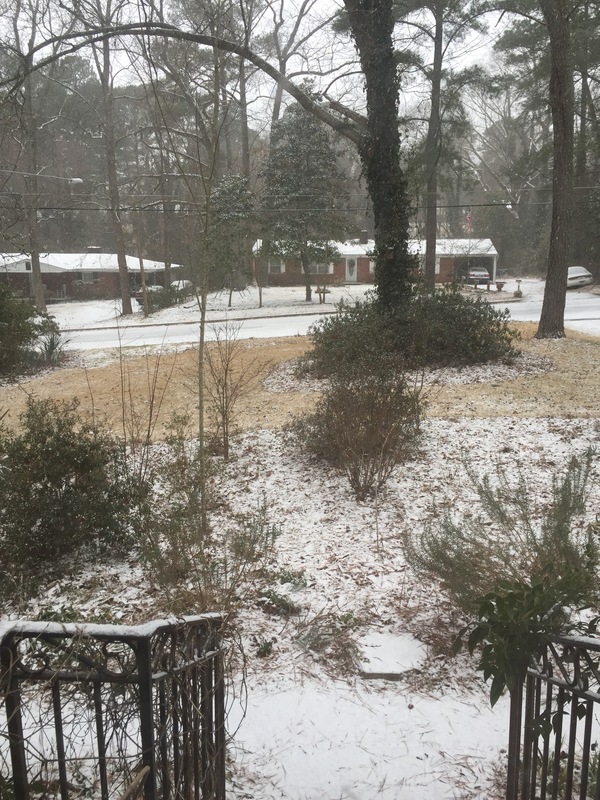 So… What to do on a snow day?